Which option would you have picked? Just curious, now that we know the outcomes of our past QBs, if you were Vikings GM, which option would you have gone for? Of those options, I like what they did with Cousins. The only option I may change my mind for was bringing back Teddy. I think they'll regret letting Teddy get away. Then again, I'm a pretty big Teddy guy. I think the Saints played it pretty smart if he can stay healthy. Get a year to play behind Brees while potentially keeping contact to a minimum for another year. If Case plays even on the same level as Cousins it will have been a bad move - in hindsight at least. It's the popular opinion that Cousins was the better QB at this point and it was a great move by the Vikings. If I had my pick it would have been keeping Teddy on the cheap and still getting Cousins. If you could guaranteed me that Bradford could stay healthy for a whole year, I would take that option. My only gripe with Cousins is the money we paid him. We will find out if it was worth it. Agreed. Teddy has been better on third downs, in the 4th quarter, under pressure...all key things I have pretty big concerns I have about Cousins. I'm not sure their arm strength is that much different. They're both fairly accurate. We'll see how Cousins does but I'm on the same page as you, Cliff. I think we had a shot at a SB win with Teddy. Hopefully that happens now with Kirk. Keenum or Cousins would have been my plan B. Keenum had deficiencies but I fear Cousins deficiencies will be less obvious, and more detrimental. In this way he may be like Bradford, who would be my last choice. He does some things well, but the things that don't go well will all be pinned on other parts of the team by fans who are unable to analyze the 'little things' and focus obsessively on stats and arm strength, etc. Case Keenum made everyone around him better. While the arm strength and accuracy shortcomings were clearly his own, he had the pocket presence and ability to escape that salvaged countless plays that would have been drive killers with a QB like Bradford. That's worth the decrease in the number of beautiful, accurate downfield passes. Also, Keenum made his deficiencies work for him, lobbing high passes to his WRs and letting them make the play. There's a reason Diggs and Thielen were both at the top of the league in contested catches. Keenum was also a fantastic leader. If you can only choose one skill set, Keenum's is better than Bradford's. In my view, Teddy best blends these two skill sets. 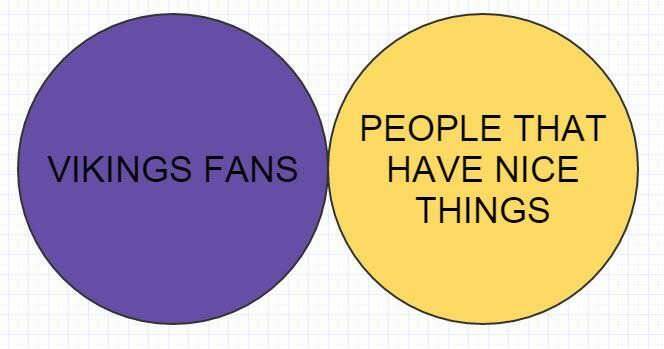 It remains to be seen what Cousins is, but my guess is that he's better than Bradford, but not as good as Teddy or Keenum at the 'little things', but better than Teddy and Case at the things fans will notice, but not as good as Bradford in those areas. The best value and best upside is teddy. The lowest ceiling and the lowest floor is Bradford. Bradford has the highest ceiling of all them. He is a SPECIAL passer when it comes to accuracy and power. The issues he brings are obvious with regards to his ability to stay on the field. But to say he doesn't bring the greatest POTENTIAL upside is ludicrous. If Bradford was durable he would be a top 5, possibly top 3 QB in the league. Sadly he is not durable. I sincerely hope he can put together a nice season for the Cardinals. I like his tenacity and genuinely feel bad for the hand his career has dealt him. Keenum has huge negatives IMO. Every game he would put up 2-4 balls that were just criminal. We were lucky last year in that those criminal balls didn't bite us all that often. That habit hasn't magically gone away. This isn't to say he didn't have positives. He was elusive in the pocket and had the moxy to put the ball in contested situations that allowed Diggs and Theilen to flourish. Still on a team with defense like ours, those 2-4 "WTF" balls are a big negative and I think that is why they let him walk. They probably felt they could get similar upside without the errant passes. Teddy gets a lot of fan love and I get why, he is quite likeable. But he has never performed at a level beyond what we saw in 2015. Keep in mind that performance wasn't on the close to what we got from Bradford in 2016 nor was it close to what we saw from Keenum in 2017. For me, that puts him on the bottom. His biggest tangible positive is his cost. Beyond that, it is just hopes and dreams. There might be a reason the Jets traded him. I think he could turn around and prove a lot of people wrong, but skepticism is quite justified given the injury he sustained. I think letting him walk, given our bargaining position as a contender was the correct move. However, even though he plays for the detestable saints, I wish him well. Cousins to me was the best choice. He brings the most upside with the lease downside of the four. Will that translate for us? I don't know. He has never had the quality around him on offense like he has now. Despite lacking that quality, he was still a major free agent, so that says something about his ability. We'll know soon. Agree with everything here. 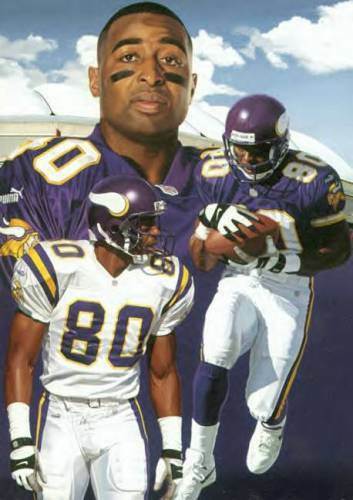 There are a few differences on offense now than when Teddy was the QB. 1. The offensive line is no longer Putrid. They are 10 times better than in 15. 2. The scheme is way more dynamic than Turners demand of 5 and 7 step drops with said putrid offensive line. It will be interesting to keep tabs on the panthers this year with Norv trying to turn Cam into into a drop back QB with a suspect line. 3. We no onger have a RB that had to come out on 3rd down and telecast the probability of run/pass by his mere presence on the field. I thought we could have made room for both Cousins and TB. Teddy is a winner. The fact that he took us to the payoffs with Turners offense and that O line is practically a miracle. The Marines I have seen around the world have the cleanest bodies, the filthiest minds,the highest morale, and the lowest morals of any group of animals I have ever seen. Thank God for the United States Marine Corps. Bradford has the highest ceiling of all them. He is a SPECIAL passer when it comes to accuracy and power. Exactly my point. I already acknowledged that. But his deficiencies will cost you drives and games nonetheless. On the whole, Keenum is a better QB. That is, he will win more games for you. The small things are more important than the big things when it comes to QB if you are forced to choose. The elites, (Rodgers, Wilson, etc) give you both. Having said that, I agree about those 'off the reservation' plays that Keenum was prone to. Those were bad, and that is likely why they moved on. Teddy was always effective in limiting the kind of negative plays you get from Bradford and the type you get from Keenum, and managed to do that behind a dreadful line with virtually no offensive weapons. He was the best of all 4 qbs being discussed at the "small things", and not the worst at the "big things". I'm holding out hope Cousins is the best of the bunch...I haven't watched enough of him to form a solid opinion. Bradford is clearly the worst of the Teddy, Keenum, Bradford group, but Cousins might be at the top or the bottom of that pile. I hope Bradford has a good season in AZ. He seems like a great person and a good player, just has persistent injury problems. As a pure passer? Bradford all the way... or maybe Jeff George. I love Keenum's scrappiness and guts and leadership, but I really think that Cousins is an upgrade. Much more of a thoroughbred NFL QB and a much better arm. What I don't like is our backup situation. We went from two luxury backups to a rusty old winter-beater at the #2 position. Just to pound home the issue with Keenum, he had 3 INT starting for DEN yesterday. We would have lost today if Cousins had committed that many turnovers. I thought Denver was silly to give him that contract, it was obvious that while he had a great year with us, he still was making the kinds of mistakes each week that prevent him from being a next level QB. The talent on our roster and coaching staff covered it up mostly, but luck was also a factor. I get the line about "our offense was worse in 2015." I do not dispute that. But the main thrust of my point on Teddy was that he has NEVER put up numbers like the other guys. You can say that is because of the offense and maybe you are right, but NOBODY knows if that is true or not. No one has seen him play at that level because he has been injured almost non-stop since then. Can anyone truly blame the FO for not putting it's eggs in that basket of uncertainty when a guy like Cousins was on the market? I can't. Is this the I'm still sweet on my high school girlfriend thread. Teddy was so sweet and Case what a kisser but I really loved the way Sam dance, he was a dreamboat.